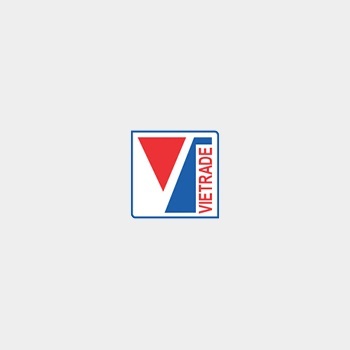 VIETRADE - The 2014 Vietnam – Laos Trade Fair kicked off in International Exhibition and Convention Center (Laos – ITECC), Vientiane, Laos on 3rd July, 2014 on the occasion of 37th-year anniversary signing the Vietnam – Laos Cooperation Treaty since 18th July, 1977. The fair was chaired by Vietnam Trade Promotion Agency (VIETRADE) and organized in cooperation with Asia – Pacific Market Department (Ministry of Industry and Trade of Vietnam – MOIT), Vietnam’s Trade Representative Office in Laos and Laos Goods Development and Promotion Agency (Ministry of Industry & Trade of Laos) from the 3rd to 7th July, 2014 in Vientiane, Laos. Vietnam – Laos Trade Fair 2014 attracted many Vietnamese and Laos enterprises, in which 200 enterprises display goods in 250 booths. There are 120 booths of nearly 100 Vietnamese companies from 16 provinces/ cities with high quality and prestigious products. Sectors and products displayed in the fair are very plentiful, including pharmaceuticals and medical device; industrial machine, construction materials; agricultural, forestry products and seafood, processed food; garment and textiles; handicrafts and indoor and outdoor decoration; plastics and consumer goods, etc. Especially, there are some common booth of provinces and cities introducing potential products in Laos market such as Hochiminh City, Da Nang, Thua Thien Hue, Dong Thap, Ba Ria – Vung Tau, etc. Attending the opening ceremony are Vice Minister of Industry & Trade of Vietnam Nguyen Cam Tu, Ambassador Extraordinary and Plenipotentiary of Vietnam in Laos Nguyen Manh Hung, leaders of some provinces/ cities and many Vietnamese companies. On Laos side, there are Vice Minister of Industry and Trade of Laos Soewsavath Savengsurka and representative leaders of ministries/ industries and provinces/ cities, Laos enterprises and companies from the North Eastern region of Thailand. Speaking at the opening ceremony, Vice Minister of Industry & Trade of Vietnam Nguyen Cam Tu said that, during past years, with the interest and direction of the Party and the government, with the close cooperation between ministries and industries of the two countries and the effort of the Vietnam – Laos enterprise community, the trade and economic cooperation has prospered and growth stably. In 2013, it is the first time the two-way trade value gained 1 billion USD. It is estimated that in the first six months of 2014, trade value between the two countries achieved 766 million USD, increasing by 51% in comparison with the same period of 2013. Besides main traditional exported products such as iron and steel, petrol and oil, means of transportation and accessories, wood, garment and textiles, etc., exported products are becoming diversified with many new products such as fruits and vegetables, agricultural products. Vietnam – Laos Trade Fair, which is organized annually, is assessed as an effective bridge for Vietnamese and Laos companies to meet, exchange and sign contracts, set up the distribution channels, look for cooperation opportunities and cooperate in investment in Laos and the North Eastern region of Thailand. In the framework of the Fair, the signing ceremony of contracts and memorandum of understanding between Vietnamese and Laos companies have been organized right after the opening ceremony with the witness of leaders of Ministry of Industry & Trade of Vietnam, representative leaders of ministries and industries and many companies of the two countries. This is a new activity in the fair this year to meet the demand of companies and honor the brand and products of Vietnamese companies in Laos market. Especially, Kinh Do Corporation, Hoang Mai Company and Holland Pharco company have signed the exclusive contracts to distribute confectionary products and pharmaceuticals in Laos for over 10 years. HAS Co., Ltd signed the contract to invest and construct the manufacturing factory in Laos with Dao Heuang Corporation. The Vietnam – Laos Trade Fair 2014 has been very successful and promote the trade and investment relationship between Vietnam and Laos.